An excerpt from the book on how cantaloupe got its name. Fruit collects a dozen of the South's bountiful locally sourced fruits in a cook's basket of fifty-four luscious dishes, savory and sweet. Demand for these edible jewels is growing among those keen to feast on the South's natural pleasures, whether gathered in the wild or cultivated with care. Indigenous fruits here include blackberries, mayhaws, muscadine and scuppernong grapes, pawpaws, persimmons, and strawberries. 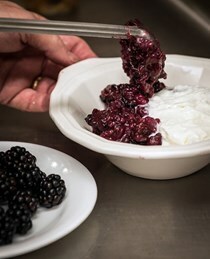 From old-school Grape Hull Pie to Mayhaw Jelly–Glazed Shrimp, McDermott's recipes for these less common fruits are of remarkable interest--and incredibly tasty. 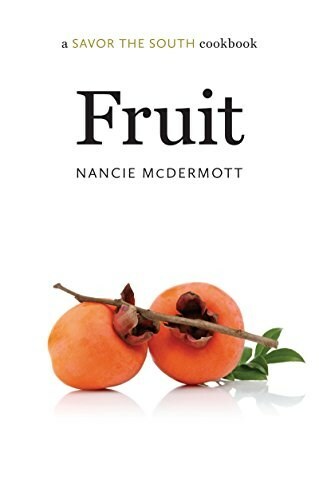 The non-native fruits in the volume were eagerly adopted long ago by southern cooks, and they include damson plums, figs, peaches, cantaloupes, quince, and watermelons. McDermott gives them a delicious twist in recipes such as Fresh Fig Pie and Thai-Inspired Watermelon-Pineapple Salad.